The other day, my friend Alyson ordered the cutest pair of baby cowboy boots from a shop on Etsy. 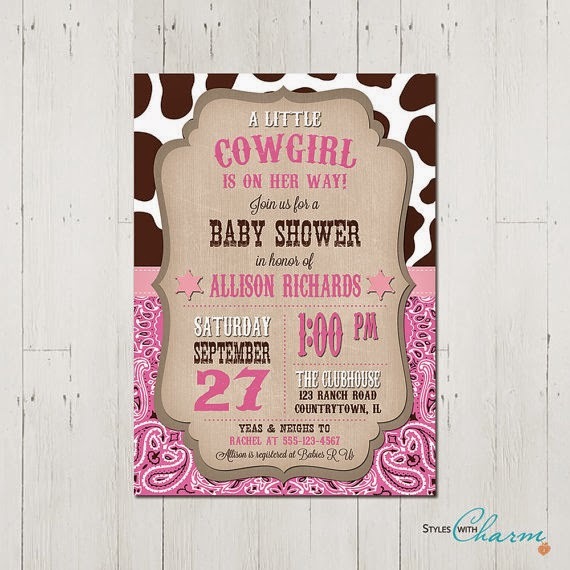 It made me think of how adorable a cowgirl baby shower would be, so I started searching. 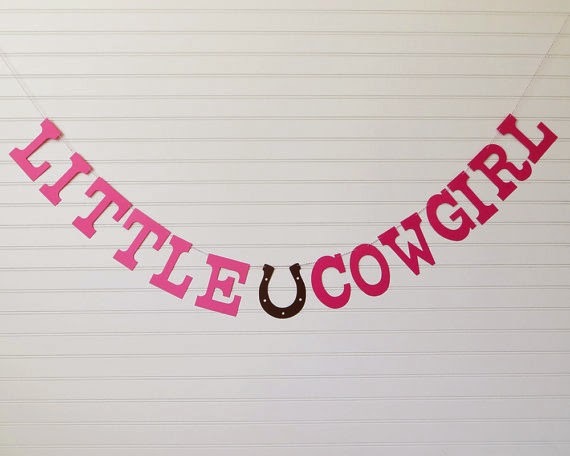 There is a great collection of cowgirl baby shower items on Etsy. Here are some of my favorites to help you start planning. Throw out the traditional "it's a girl" decor. 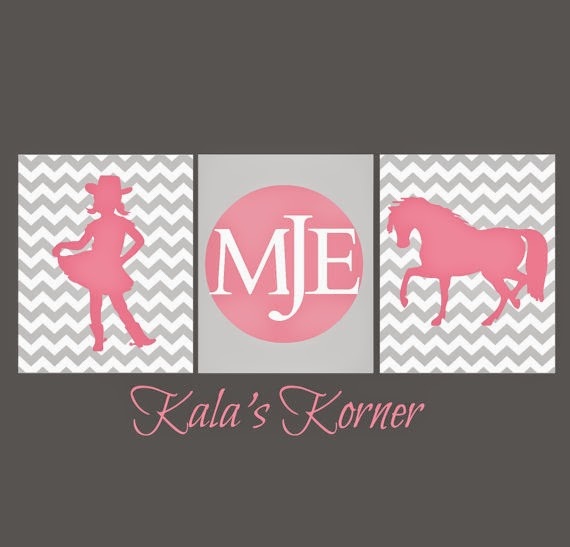 Go with a print from Kala's Korner that can be used in the baby's nursery after the party. This invitation from Styles with Charm is perfect. 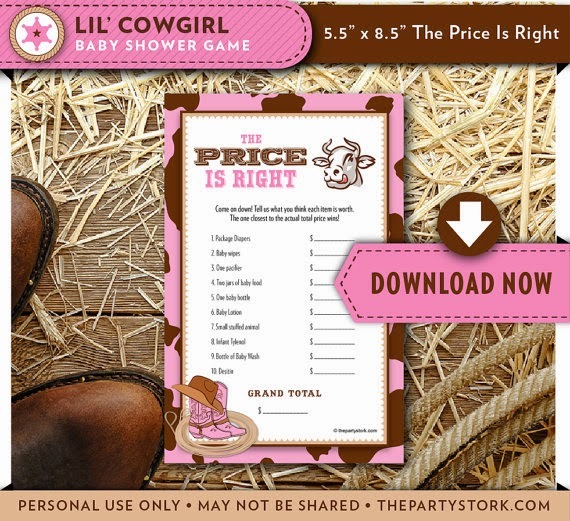 Add a note on the invitation for the guests to dress in their favorite cowgirl attire. Party decor that doubles as nursery decor is a winner! 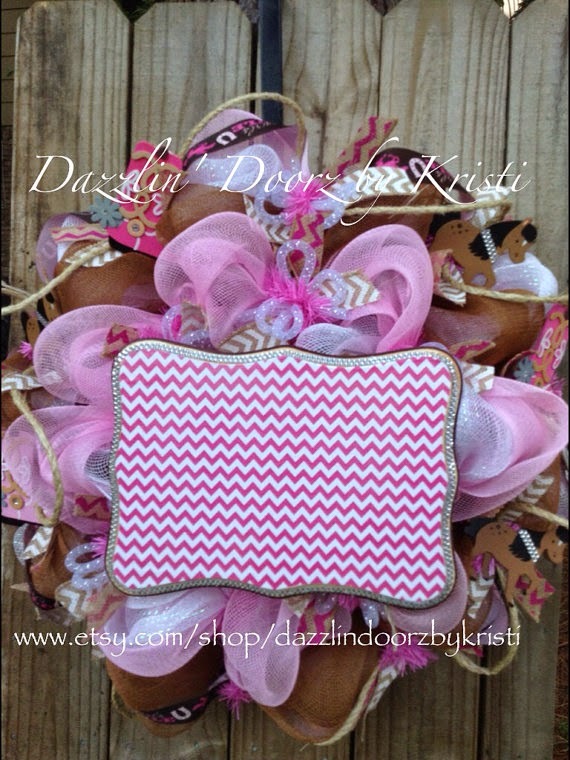 After the party the mommy-to-be can hang this adorable wreath by Dazzlin Doorz by Kristi on the nursery door. Girls, we all know that the shoes make the outfit. 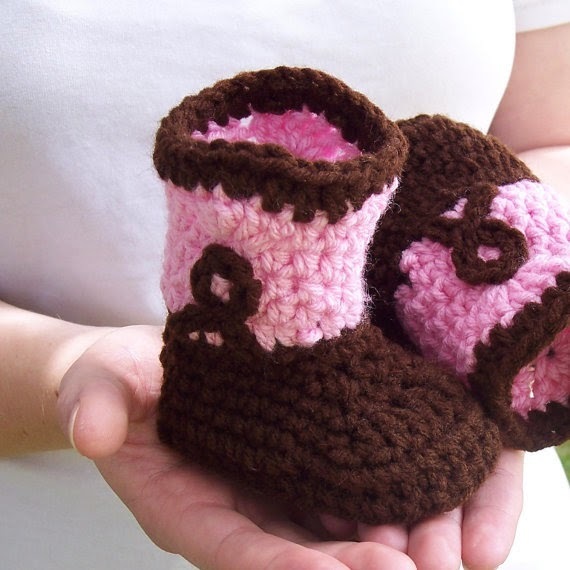 Use these cute boots from Puddintoes as a part of the centerpiece and then baby girl will have her first pair of boots too. The cupcake toppers from EMT Sweetie were too cute to pass up. They will put the finishing touches on the dessert table. Like I said before, change up the decor a little with this simple, southern banner from Fresh Lemon Blossoms. Please do not play the toilet paper game! Instead download The Price is Right from The Party Stork. The baby mama will thank you. Saying thank you is an important part of any shower. Say it with cowgirl pizzazz with these thank you notes from Lemon Tree Cards. 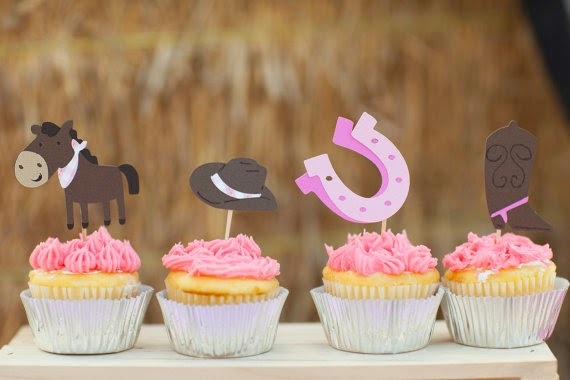 These are such great ideas for little cowgirl baby shower! Thank you so much for including my banner with these other wonderful handmade items from Etsy! I love your cowgirl collection! Thank you for including my thank you card!